Amazon is shrugging off the latest attack from President Donald Trump, trading up 1.04%, at $1,386, on Tuesday. Shares initially fell about 1% but have fought their way back into positive territory. Trump’s tweet is the latest in his string of criticisms about the e-commerce giant. 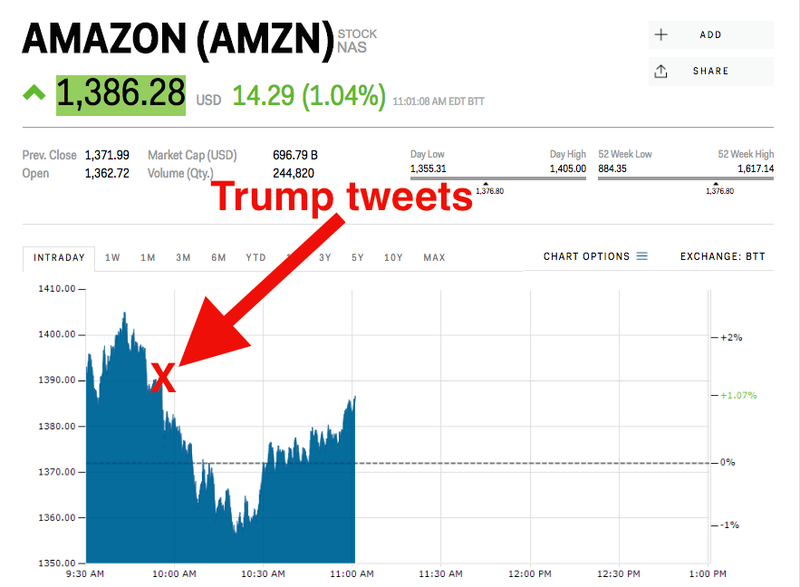 Amazon has seen almost $30 billion of its market cap wiped away as the president has tweeted about the company four times in the past week. Amazon shares are up 16% this year. « Is Tesla heading for trouble?